The Generation After, Inc. was created in 1979 as an organization of children of Holocaust survivors in the Greater Washington area. It has expanded over the years to include grandchildren of survivors and survivors themselves with the merging of The Generation After, Inc. and Jewish Survivors of the Shoah and Friends of Greater Washington in 2015. We are also affiliated with Generations of the Shoah International (GSI), a worldwide umbrella group for second generation activities. Board and Officers: There is a president, vice president, a treasurer, a secretary and a 15- member Board. As an all volunteer group, The Generation After, Inc. is always seeking new members and volunteers to help run the group and its activities. To volunteer, please call 240-396-6467 or email generationafterdc@gmail.com. Join us by clicking here, filling out a membership form and paying annual dues of $36. Join our email list and receive information on upcoming events, articles of interest and the monthly Generations of the Shoah International newsletter. Remember a Child provides pre-Bar/Bat Mitzvah families with the name of a child Shoah victim who was annihilated before he or she could become a Bar/Bat Mitzvah. Families receive a Certificate of Remembrance to document this “match,” bibliographic/references, citations, or links to enable families to conduct even more in-depth independent research. The current generation can thereby commemorate the lives of those one-and-a-half million children whose lives were so tragically curtailed. To learn more about the Remember a Child program click here. Read a profile of this remarkable program in the Washington Jewish Week. 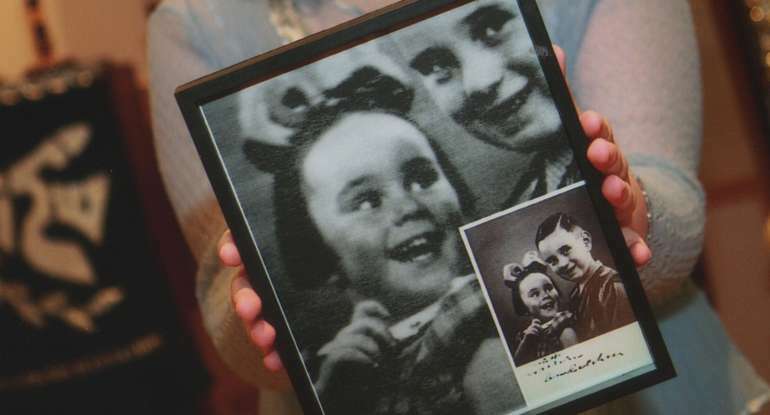 A series of uncanny coincidences draws an eruv of living memory around the soul of one little girl who perished in the Holocaust. Zikaron Basalon is a unique small group format, developed by 3G's in Israel, to commemorate the Shoah. GenAfter is partnering with 3GDC and the Last Generation to hold this event on April 7 at 7:00pm in a member's home in DC. The program includes survivor testimony, expressions of remembrance and an intergenerational discussion. To learn more and to attend, please write to generationafterdc@gmail.com. Book Group Meeting – The Generation After, Inc. members meet regularly to discuss books and topics of mutual interest to children of survivors. The Book Group will meet to discuss "The Tatooist of Auschwitz," by Heather Morris on April 28th. Contact Charlotte for info at generationafterdc@gmail.com. GenAfter Shabbat Dinners Our last potluck and intergenerational Shabbat dinners took place on February 22, 2019 in several member homes in the DC/MD area. Kosher and kosher-style options are available. If you are interested in attending or would like to volunteer to host a dinner, contact us at GenAfterShabbat@gmail.com. Writing Group An ongoing Generation After Writing Group formed in 2018 and met multiple times with mentor Gina Roitman to learn to transform memory into memoir. If you would like to join us to shape your own story and fill in the missing pieces, please join us. For more information, contact us at generationafterdc@gmail.com. 2019 World Federation of Jewish Child Survivors of the Holocaust and Descendants and Generations of the Shoah Conference will take place November 1-4, 2019, at the Sheraton Vancouver Wall Centre Hotel, Vancouver, Canada. Advocacy - We monitor the plight of Survivors here and around the world and have rallied in many ways to secure appropriate funds to care for survivors in need. For more information contact Anat at generationafterdc@gmail.com.